Take this QUIZ: Is your business cut out for on-premises EDI software? As an EDI expert, I receive many questions related to deployment of the EDI software. “Should our business go with on-premises or “in the cloud”?” As many business executives are not sure which way to go, I have listed a few questions that will make their EDI deployment decision easier. Below are the right questions to ask yourself in order to make the best decisions for your company when it comes time to implementing EDI software. Please note: if your major problem is how to integrate EDI with JDE, please refer to my previous blog entitled, ‘How to Solve the Biggest EDI Integration Problems with JDE’. 1. Do we have the proper in-house EDI expertise? Before making any decision about how to deploy EDI2XML, Namtek’s EDI conversion solution, or any other EDI software internally, one should ask the very basic question: Do we have an IT professional in-house with a basic understanding of EDI? A basic understanding is all an IT expert needs when dealing with EDI2XML on premises. 2. Do we have the expertise to work with XML? The second question is of course asking whether your internal IT team has the necessary capabilities and expertise to work with XML and its schemas. An IT professional having expertise in XML is much more probable than EDI expertise. However, never assume, as it is always best to confirm this beforehand. 3. Do we have enough time for our IT resources? Once you realize you have an in-house IT team with the expertise in EDI and XML, you need to evaluate if they have enough time to handle an EDI implementation project. Many executives underestimate the time and effort involved in EDI communication, especially if their IT team is handling other priority projects and tasks. The same question should be asked if the company does not have an in-house team and has hired outside IT consultants for their day-to-day IT needs. 4. Do we have the necessary IT infrastructure? Another very important factor to consider before deploying EDI translation software on premises is your company’s current IT infrastructure. If your current hardware and infrastructure cannot support an EDI software solution, then it is time to invest, which can of course add more costs to your project’s budget. Nowadays, many business executives do not want to worry about this and have opted for “cloud-based” software services. Adopting SaaS solutions (Software as a Service) does not require any investment in IT hardware and infrastructure. 5. 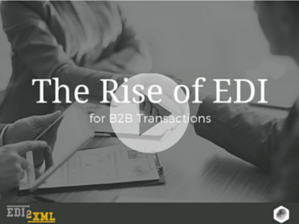 Can my current ERP software handle EDI integration? Any time there is an integration project within a company, a crucial question to ask is if your current ERP software (if your company even has one) can handle EDI integration, or any add-on software integration. If your company is still running a legacy software system or out-dated software, with no support and maintenance, integration becomes very difficult. The best way to go for any integration project, including EDI, is to begin with an upgradable and scalable management software solution where integration is easy and quick. Please review my article about the importance of fully integrated software in a business of any size. If you’ve answered “YES” to all 5 questions above, then your company is suited for an on-premises EDI implementation process. 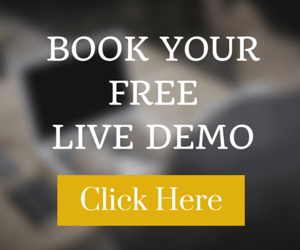 However, if you’ve answered “NO” to at least one of the questions, then it is best to go with an EDI conversion service that does the complex work while your team of IT consultations take care of the integration with your internal software system. If however you do not have an internal IT team, then simply go with an EDI software solution “in the cloud” with full service. At this point, you wouldn’t need any IT infrastructure or in-house IT team as all you would need to do is hire an outside team of EDI experts to implement and handle the EDI communication. 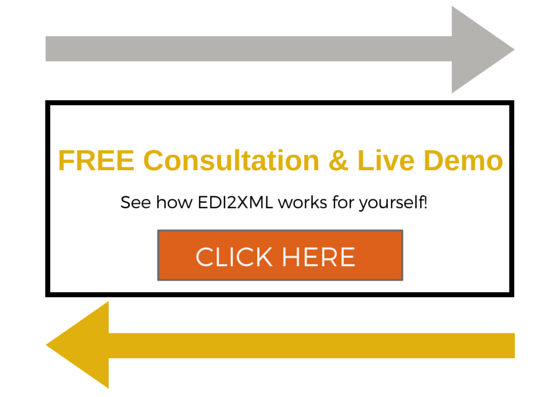 Please check out our EDI2XML as a Service for more information on how an EDI solution “in the cloud” works. If you need further help in determining what the best steps are for your company, I am be happy to offer my team’s long time EDI and systems’ integration expertise for a Free Consultation.